Mamma Mia!, the international jukebox musical sensation based on the songs of ABBA, made a dazzling return to Thunder Bay last night for a two-show engagement that did not disappoint its sold out opening night audience. The company was more than enthusiastically received by the crowd, and they in turn clearly and genuinely expressed their gratitude from the stage in two high-energy, glittering encores. Nearly 60 million people worldwide have taken in the spectacle since its North American premiere in Toronto in 2000 before going on to join an elite list of the longest running shows on Broadway where it continues to play today. Those 60 million can’t be wrong in their praise for the production, which was an equally huge hit in its 2008 silver screen adaptation. The story’s premise is simple, the direction is stylish, and the music – timeless. On an idyllic Greek island, 20-year old Sophie Sheridan (Chelsea Williams) mails three invitations to three different men, one of whom, as her mother’s old journal has revealed, could be Sophie’s father. Sophie’s wedding to Sky (Chris Stevens) is three months away and she longs for a stronger sense of identity. Her mother, Donna (Georgia Kate Haege), is caught up in the hectic planning, unaware of Sophie’s subterfuge. Donna’s long-time friends Tanya (Gabriella Mirabella) and Rosie (Carly Sakolove) arrive to guide her through the stress and the melee that are unknowingly about to erupt as the potential fathers – Bill (Michael Colavolpe), Sam (Jeff Drushal), and Harry (Mark A. Harmon) – arrive for the festivities and awaken feelings in Donna that she had long ago cast off. Sweet and sensitive with a clear and gentle voice is Williams as Sophie. As the character that sets the story in motion, she earns the empathy and support of the audience with ease. Stevens delivers an energetic performance as Sky, Sophie’s fiancé. Colavolpe, Drushal and Harmon as the likely fathers efficiently deliver true moments of comedy and tenderness with both Donna and Sophie as each tries to determine their relationship with both women. Mirabella and Sakolove serve genius comedic performances as Donna’s sidekicks, characters reminiscent of Jennifer Saunders and Joanna Lumley in Absolutely Fabulous – and truly fabulous they are. But it is Haege, as Donna, who anchors the entire show with a solid and stellar vocal and acting performance, her joy and emotional turmoil both winning the adoration of the audience. What makes Mamma Mia! truly work are its uncomplicated story, its solid direction by Phyllida Lloyd which serves the story well and is nearly impossible to muddle, and, of course, the timeless songs of ABBA’s Benny Andersson and Bjorn Ulvaeus. Ranking among the top-selling recordings of all time, ABBA’s songs never fail to move people whether they are swaying in their seats or rising to their feet. As dramatic tools, the songs are perfectly placed within the musical’s book to tell and move the story along, firmly gripping the audience and bringing them along for the outstanding ride. Catch the second performance of Mamma Mia! 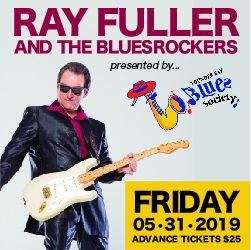 on April 30 at the Thunder Bay Community Auditorium.